Microsoft's been filling out the Web Stack with more and more right-sized LEGO pieces lately, and today ScottGu announced the developer preview of NuGet. It's a piece of the stack that's been notably missing for years and after using it for a while now, I'm not sure how I lived without it. NuGet is a package management system for .NET. The goal of NuGet is to make the process of incorporating third party libraries into your solutions as simple as possible. Package Management itself is not a new concept. From Apt and "deity" before it at the system-level on *nix, to Ruby Gems, Maven, Synaptic, portage, dpkg, rpm and others, it's a well understood space. There are package managers for operating systems that install machine-wide libraries, and there are package managers for developers and their projects that manage dependencies and install libraries. NuGet takes inspiration from Ruby Gems and adds some .NET specifics. 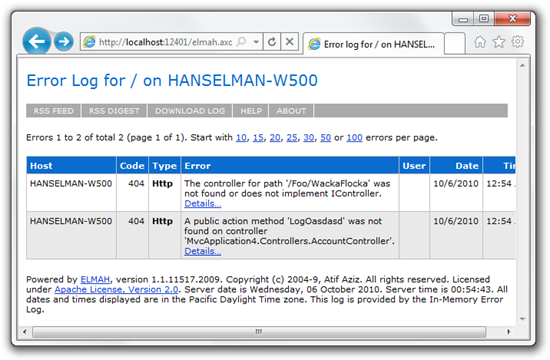 At this point, as an example, perhaps I want to get the ELMAH (Error Logging Modules and Handlers) open source library setup in my MVC project. I have long said that ELMAH, as a project, deserves way more attention than it gets. One of the reasons that it doesn't get used - as is the case with many .NET open source libraries - is that it takes too much effort to get it working. 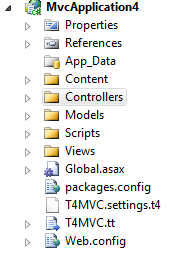 Unzip it, put it in a folder somewhere in your project, figure out what needs to be added to web.config, you know. 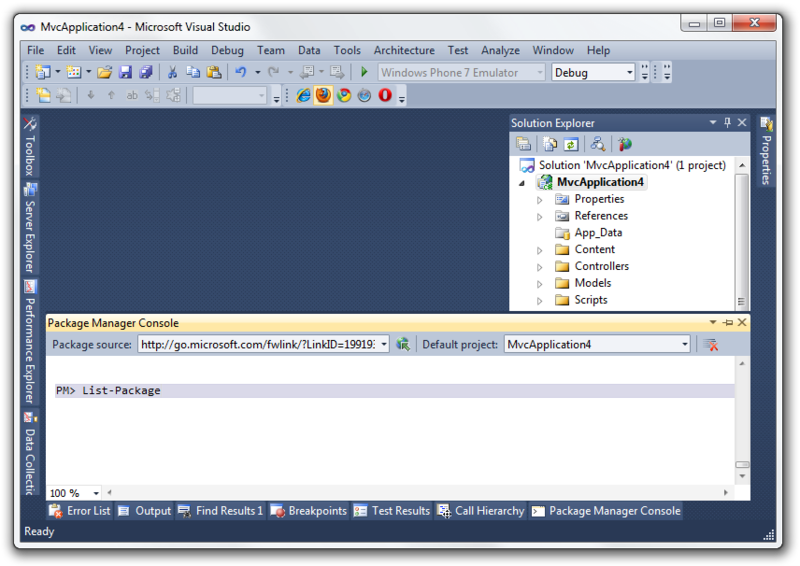 With NuGet, I type "Install-Package elmah" and it's done. If I wanted to be extra cool with PowerShell aliases I could have just typed "install-packageelmah." And that's it. Elmah is automatically brought down to my machine, a reference is added to my project and everything it needs is merged non-destructively into my web.config. I'll run my app and hit /elmah.axd just to prove it. Looks good. But what if I want to add a more complex project, maybe NHibernate.Linq. From the Package Manager Console I'll start typing install-package nh and get Intellisense for all the packages that are available. Notice that NHibernate.Linq knows its dependant on a bunch of other things. All those packages got pulled in and put in the packages folder. Notice the nupkg file there? That's just a ZIP file. Let's look inside. Unzipping the nupkg we see lots of stuff. The binary is in there, but also a nuspec file that looks like this. Dig around in there and you'll find some standard packaging namespaces from openformats.org. NHibernate Linq support is based on the existing, proven in production, Linq provider in NHibernate Contrib. The plans to overhaul that and merge that into NHibernate’s proper for the next release are still active, but the project team feels most strongly that production quality Linq support is something that we ought to provide for our users now. NuGet walks its way up the dependency chain and gets all the packages it needs, installing each. Packages can add scripts, content, references, and even run postscripts (ahem) written in PowerShell if they need something fancy. I can even remove all that and its dependancies. Let's add a few more interesting packages to my project. First, I'll add David Ebbo's wonderful T4MVC templates. 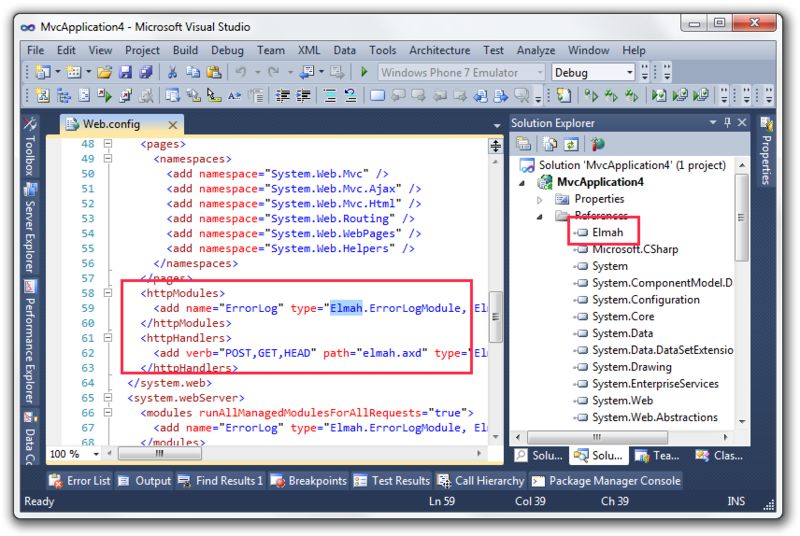 David's project isn't actually DLLs, it's a T4 template and a config file, but no problem, it's added to the project. Next I'll add the Entity Framework "Magic Unicorn" library that I love so much. which may come with their own license agreement(s). then delete the relevant components from your device. I've added NHibernate.Linq and four dependencies, then removed them all. I've added T4MVC, SQL Compact, Entity Framework CTP 4, and ELMAH. I'll add one more interesting package. It's not a library like EFCTP4, or a database like SQLCE, or a T4 template like T4MVC. It's actually an example of PowerShell scripts that extend the Package Manager Console itself with new commands that interact with my project. Pretty sweet. A lot has been done and prepped for me and all from the Package Manager Console within VS. I can personally see folks creating templates or meta-packages that encapsulate some CRUD (Create, Read, Update, Delete) best practices and sharing them via NuGet packages. Clicking Add Package Reference brings up this dialog box. Look familiar? From here I can search for packages, install, as well as see what packages I've already got installed. I can also check for updates and download new versions. Now this is just a Developer Preview, but look at it generically. 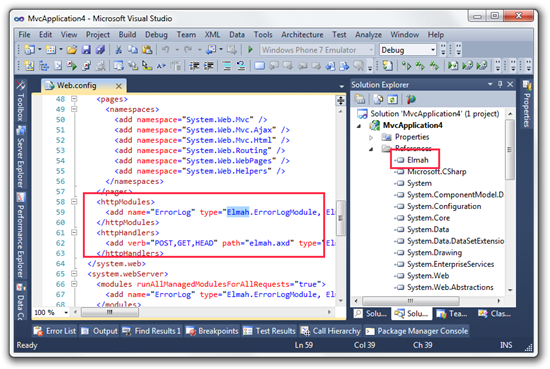 We can interact with Visual Studio from PowerShell, package up Open Source libraries, scripts, content or perhaps even meta-packages (install-package hanselpack or install-package dearReaderLibs). Phil talks about the Guiding Principles for NuGet on his blog. There will be a central feed with no central approval process for adding libraries. The community will police and moderate packages. But, anyone can host a feed. 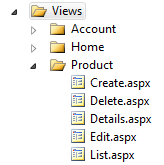 You can host an internal feed at your work, or even just point NuGet at a file system folder and share packages across your group. NuGet is interesting for a couple of reasons. 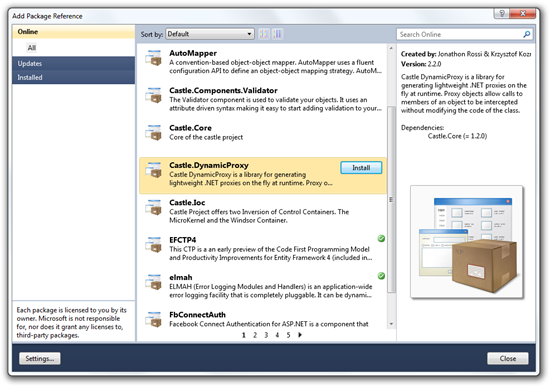 NuGet isn't a classic Microsoft closed-source project; it's been accepted into the CodePlex Outercurve Foundation and is entirely hosted and managed in a Mercurial Repository at the CodePlex.com Forge. Developers from inside Microsoft and developers from outside Microsoft have been committing to the same repository. All the bugs and issues are managed transparently on that projects. Yeah, we're slow, but we're working to turn this ship around. NuGet can, and has, accepted contributions, most recently from some folks on the "Nu" open source project. In fact, working with the Nu folks caused us to change the name of this project from its original name of "NPack" to NuGet. There's been a lot of "Source Opened" at Microsoft and a lot of "Open Source but No Takebacks" with some Open Source, but with NuGet I'm stoked to see us start giving (and taking back) in a more open way. As Phil says, go over to the NuGet website on CodePlex and check out our guide to contributing to NuGet. It's early, and there's a LOT of work to be done, but we're planning to make this available for use in all editions of Visual Studio 2010. 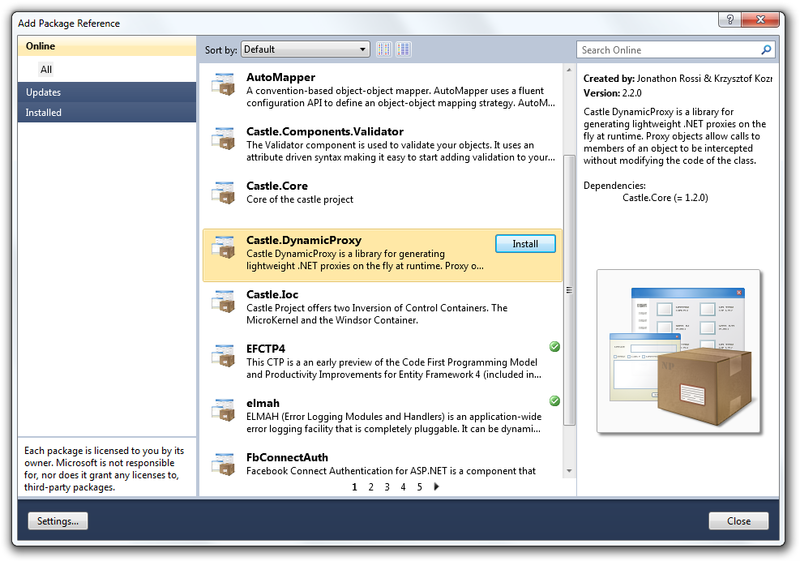 Go get ASP.NET MVC 3 Beta and NuGet is included inside. Here's the direct download link. The whole team - inside and outside Microsoft - really hopes you like it. An a related aside, one of the reasons I came to Microsoft was to work on and encourage open source like NuGet. For the last few years I've been working in MSDN and STO (Server and Tools Online) most recently leading a community team with a great bunch of folks, including Joe Stagner, Jon Galloway, Rey Bango, Jesse Liberty, and Pete Brown. This week I'm leaving MSDN to go to work as Community Architect for the Web Platform and Tools (WPT) team under ScottGu, Bill Staples and Omar Khan. Pete will take over as the lead of my team and they'll all join Developer Guidance (née Patterns and Practices). We'll hang out a lot together, though, I have no doubt, and I'll be at the Patterns and Practices Symposium as well as PDC 2010 this year.